Guest Conductor Jacomo Bairos led a concert of two works of Spanish composers and one very familiar work by a Russian. The first was the 1919-Three Dances Suite from De Falla's "Three-Cornered Hat". This was a rousing way to start a concert an it seems that De Falla's music has been laying dormant for the last decades. It does not seem to have the concert-hall popularity that it once had. Listening styles do change. Bairos led a credible performance even if, at times, (e.g, in the The Neighbor's Dance) he did not have the strings "dig- in" as other conductor have. Spanish fire became hot coals. The third-movement "Final Dance" is full of orchestral fireworks including some great percussion sections. The audience loved the performance, as indicated by their standing ovation-oh, wait- they always stand in Atlanta. The second work was Rodrigo's "Fantasia para un Gentilhombre" written in 1952. Milos Karadaglic was the guitar soloist. Karadaglic appeared with the ASO a few years ago and he is a crowd favorite. In spite of a relatively small recorded output he is becoming a classical guitar superstar. (The local newspaper referred to him as a "hunk"- AMC's guess is that if Nicola Benedetti or Anne Sophie Mutter were described as "babes" ht world would become unhinged.) Karadaglic's guitar was amplified, apparently to make it be heard over the orchestra. AMC thinks this was a good strategy but it does give it a slightly unreal sound. The "Fantasia" is a slight work that does not give the listener much to think about, but that's not all bad. The work was played well by Mr. Karadaglic, with a few missed notes, but then who's counting? After the work was completed, the audience showed it appreciation by leaping to its collective feet for another standing ovation. The guitarist rewarded the show of enthusiasm by playing a guitar version of the Final Dance from, guess what, De Falla's "Three-Cornered Hat." AMC assumes this was done on the theory that if was good once, Ding, ding, ding- you guessed right. The audience again leapt to its feet. The final work was Mussorgsky's "Pictures at an Exhibition" as orchestra by Ravel. AMC recently heard another performance of this work by the Pittsburgh Symphony Orchestra conducted by Krzysztof Urbanski, conductor of the Indianapolis Symphony. 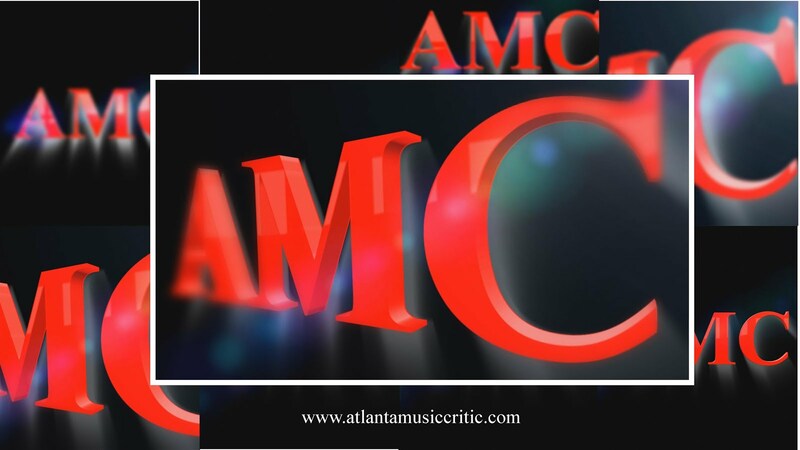 See review here: http://www.atlantamusiccritic.com/2015/02/hair.html. Comparisons are called for, at least in AMC's mind. In all fairness, it should be noted that Mr. Urbanski is known, or at least he thinks he is known, for his interpretations of the grand work. Beginning with the first promenade, Bairos seemed to think of it as a shuffle, where Urbanski conceived it as a more disciplined walk. The "Gnomus "section was darker and more forbidding in Urbanski's interpretation. The "Old Castle" was more skillfully played in Urbanski's version with far greater subtlety in the important saxophone solos. Both Bairos and Urbanski took a similar approach to the "Tuileries" section, with the woodwinds in both orchestras playing brilliantly. In "Bydlo" Urbanski was much more in control of the dynamics of the work, which includes sort of a doppler effect in the music. The cart seemed like it was moving toward the audience and then retreating. Again it was a draw between Bairos and Urbanski regarding the "Ballet of the Chicks." "The "Samuel Goldenberg and Schmuyle" section had wonderful solos in both versions, but it is difficult to beat the work of George Vosburgh in Pittsburgh. The "Catacombs" were eerily dark in both versions. The final two sections "The Hut on Hen's Legs" and the "Great Gate of Kiev" showed the superiority of Urbanski's approach. These two sections use the power of the full orchestra, and if the dynamics are not controlled, then the climax looses some of its punch. Bairos seemed to have difficulty in controlling the mass of sound, especially in the short crescendos a the end of the work. Since they were mostly loud, they didn't provide the proper build-up to the finale. Also, the entrance of the trombones and tuba at the beginning of "The Great Gate of Kiev" was a bit uncoordinated. However, Bairos was correct in having each section of the orchestra stand to take their applause. The oboe, flutes, horns, trumpets, and percussion were outstanding. The problems of this performance were mostly Bairos' lack of attention to dynamics. You can buy yourself a coffee at your neighborhood coffee shop if you can guess what happened at the end of the performance. AMC has a few final observations of the concert. There was a wave of coughing in Symphony Hall. Allergies? there were many many young people in the audience. One might say it was hipster heaven. That's a good thing and they chose a good performance to attend. AMC's only other thought is that the Saturday night concert happened on the day of Bach's 330th birthday. It was a grave oversight to not program at least one Bach work for this observance to honor maybe the greatest composer in history.